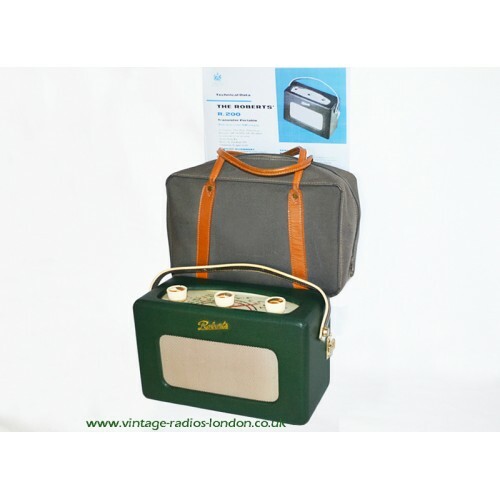 1960's Vintage Roberts R200 Transistor Radio + Original Roberts Bag! 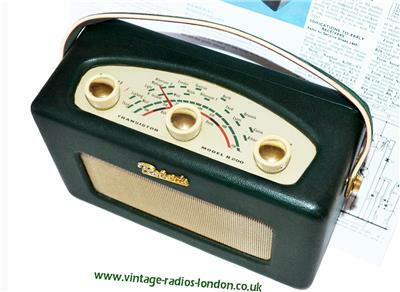 This classic Roberts radio, with slow motion tuning is in excellent working order on both wavebands (MW/LW). 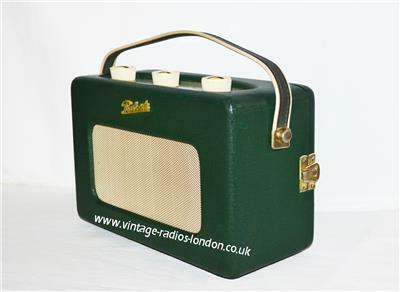 The green R200 is all in excellent cosmetic condition - the grille is clean with no scratches or dents, complete knobs with shiny brass inserts and undamaged Roberts badge. 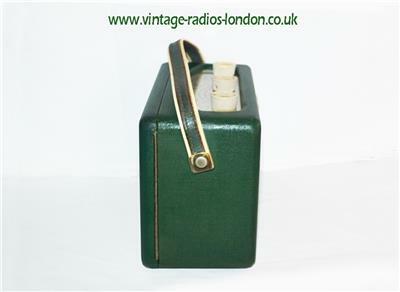 The original strap is intact and fully stitched, the leather cloth covering still has its original colour and the battery box is absolutely clean with no sign of any spills. 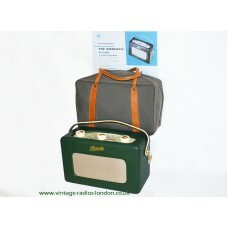 And surprisingly the 55 years old Roberts carry bag is also in great condition outside and in with no tears and cuts. 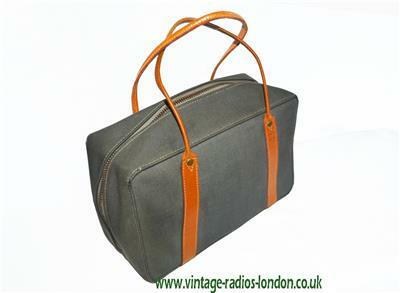 The leather handles are also complete and undamaged. 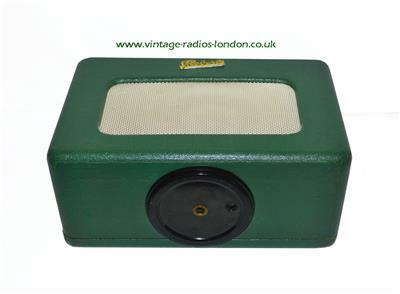 The radio stands on the usual Roberts turntable base for best reception. 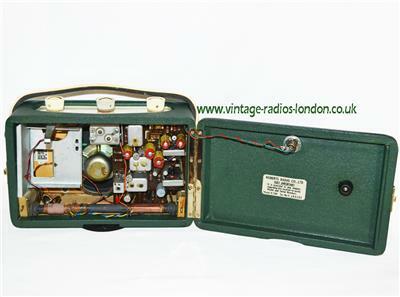 This remarkable Roberts radio set is absolutely authentic with all of its original components - An iconic item for the serious radio collectors and everyone who appreciates the authenticity and the quality of vintige radios! 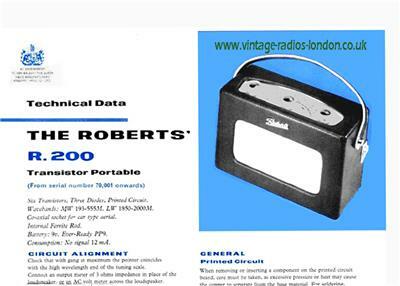 Copy of the Original Technical Data is included. 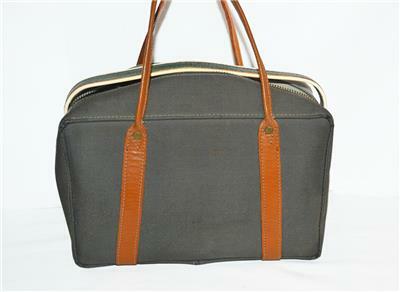 Buyers can chose to collect if this is more convenient. 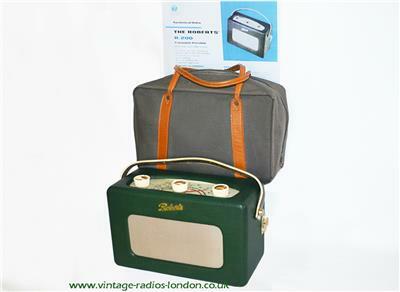 Tags: 1960's, Vintage, Roberts, R200, Portable, Transistor, Radio, Original Roberts Bag!